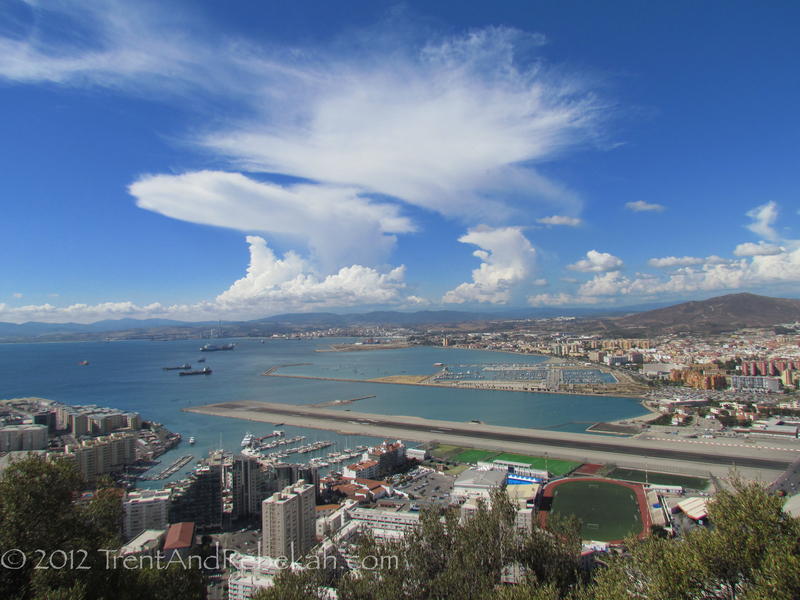 The other day, we meandered from Spain into British territory by taking a turn around Gibraltar. Gibraltar is a unique mix of British stuffiness and Spanish chaos–no one tells you where to go or how to get there, but they expect you to be there on time. Gibraltar eventually passed into Spanish hands during the Reconquista; but as Spain declined, Britain invaded and took Gibraltar during the War of Spanish Succession (1704). After that, Spain besieged Gibraltar fairly regularly, especially while Britain was having a bit of a kerfluffle with a savage little colony on the other side of the Pond. Britain would use the Rock as a strategic military base through several more wars and a couple of modern Spanish sieges lead by Franco, who cut off border crossings, communication methods, and water. However, with their English tenacity, the Brits have clung to their Rock. 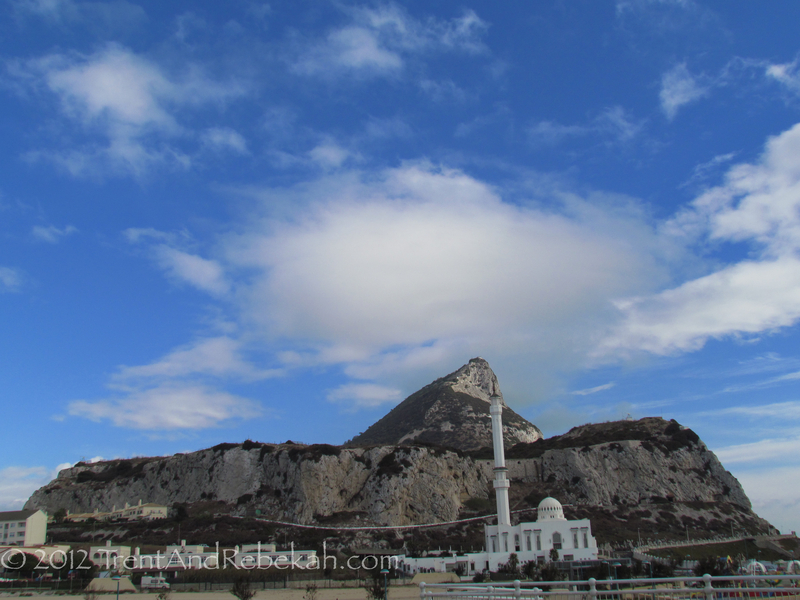 Our experience in Gibraltar involved us first getting lost in the bus system, but we did eventually make it to the top of the Rock and began our hike down. 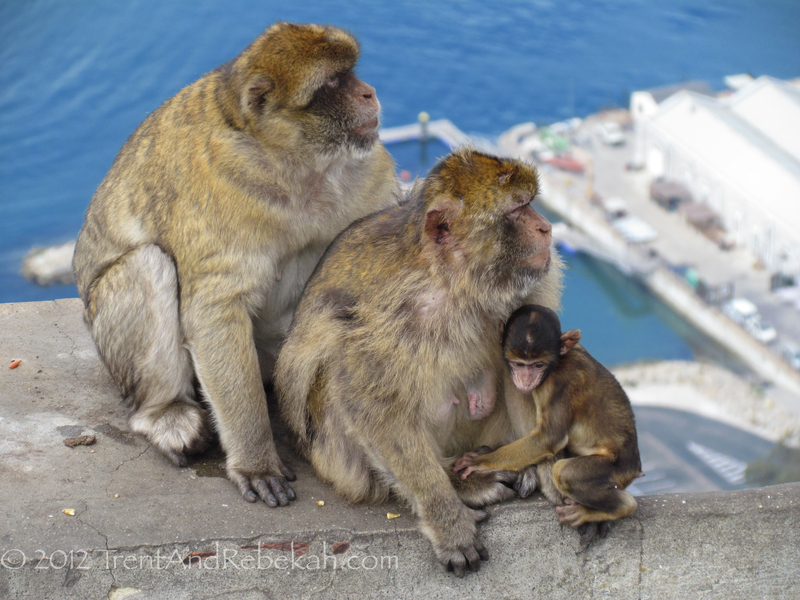 We encountered the peerless Gibraltar Apes (barbary macaques), with their serious and intelligent little faces. Rebekah had an especially close encounter with one. She was delighted. 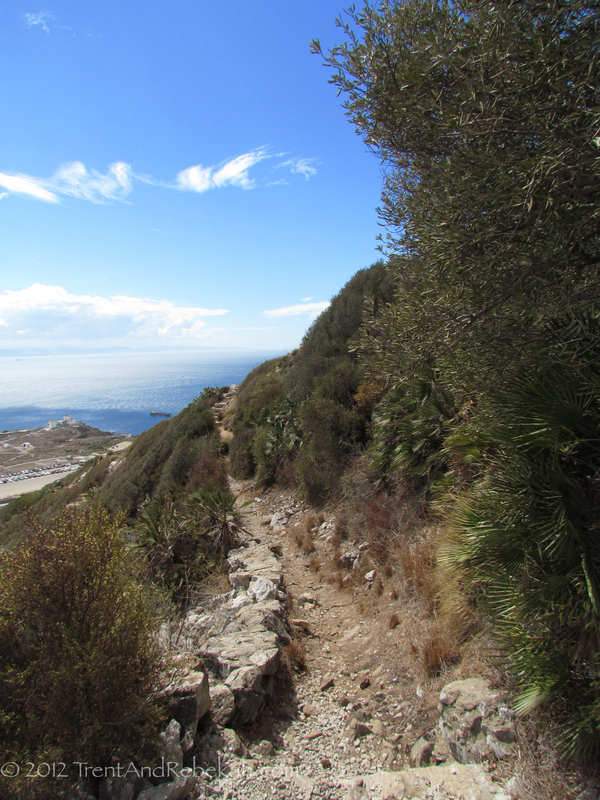 We hiked the Mediterranean Steps trail down one side of the Rock and up the other, and were able to enjoy spectacular sea and ocean views away from the tourist crowds, including the spot where the Mediterranean meets the Atlantic. We explored Homer’s gate to the underworld (St. Michael’s Cave) and visited the siege tunnels built over the course of 200 years and several wars. In celebration of the long and rigorous hikes we took, we decided to close our excursion by negotiating the bus system again, going in two and a half circles, and then simply walking out on our own two feet. This entry was posted on September 22, 2012 at 3:38 am and is filed under Ancient History, Nature, World History. You can follow any responses to this entry through the RSS 2.0 feed. You can leave a response, or trackback from your own site. I really like the clouds in the second picture. The ape movie is cute. Good thing it was the small one and not the bigger one :-). I also really like the history that you shared. How adorable are those little apes?! 🙂 Beautiful pictures!! There was a small ditch/grassy area just below the railing, not too far down……he was right back up there in two seconds, happy as could be.